Softball is a game of a baseball. But in this game, it is played with the large ball in a small field. Two teams are required to play the game. Each team of softball consists of nine players but some youth leagues and slow pitch league sometime allows ten players too. Each team has some substitutes too known as a pinch hitter and pinch runner. But the game as its name said is not played with a soft ball. Rather the ball of this game is hard as the ball of the baseball and it is bigger than the baseball too. Sometime the game is also referred as indoor baseball or ladies’ baseball. Many people assume that softball is derived from the baseball. Many even go the extent of thinking that softball is the girls’ version of Baseball. But it’s not true. In fact, the softball was born in the game of a football. It has an interesting history. The history goes back to 1887. It was a Thanks giving day, when many alumni were sitting in the Chicago, Illinois Farragut Boat Club to know the result of Yale versus Harvard football game. And when Yale became a winner, one of the Yale alumnus sportingly threw a boxing glove to the Harvard supporter. And the Harvard fan swung back it by using a stick. And other people were looking at them with interest. So in this way the Softball game was born in a Football game where the supporter of football threw the glove as a ball and the other threw it back by using the broomstick as the bat. So it is clear that this game has nothing to do with baseball. Initially the rules of this game were devised by the Farragut Boating club by themselves. Slowly the game was leaked from Chicago to other places even outside of Chicago and ultimately throughout the mid-western USA. And people started to call the game as kitten ball. Indoor baseball, mush ball etc. in the year 1926, Water Hopkinson gave the game a new name called Softball. Since then the game has been known as Softball. In the year 1934, the Joint Rules Committee collaborated some standard rules for Softball. Before this the game has been played with different rules in different places. The ball with which the Farragut Boating Club played this game was of 166 inches’ circumference, but Lewis Rober Sr. first used a ball with 12 inches’ circumference. Since then this 12 inches’ circumference ball has been used as the standard softball size and today in many tournaments this game is played with the 10-12-inch circumference. But still today many people of Chicago play this game with 16 inches’ ball. The game was first practiced by the baseball players to maintain their exercise during the off season as it was an indoor game. But soon the game has become so popular that it has become an official sport of USA. In the year 1991, women’s fast pitch softball was selected as a model sport in 1996 Summer Olympic, Atlanta. However later in the year 2012 the game was removed from the Summer Olympic. Still it’s one of the popular games of USA and 113 countries have joined the International Softball Federation. The rules of this game are similar to the baseball to some extent. As the object of this game is also to hit the bal﻿﻿﻿l with the bat and score run. The team which manages to score more runs is declared as the winner. There are two teams in the game and each team has to 9 players in it. The game is played for 7 innings and each innings has two parts known as the Top and the Bottom of the innings. One team bats in the Top of the innings and another team fields in the bottom and then vice versa. The size of the ball of Softball is smaller than the ball of the Baseball. And there are four bases inside the field. These are known as the Home base, First base, Second base and the Third base. In the home base, the batters stand. The batting order of the team cannot be changed for a particular game. Once it’s selected, the all 7 inni﻿﻿ngs must be played with the same batting order. 1. There are two teams in the game of a softball. 2. Each team consists of 9 players either of men or women or of both the sexes. 3. The game has 7 innings. Each innings has two sections known as the top and the bottom section. 4. The pitch of the game is in a diamond shape and is divided into four bases. 5. The fielding team of the game consists of 9 players known as the pitcher, the catcher, first baseman, second baseman and the third baseman on all the three bases and three more fielders and one shortstop. 6. When the ball is thrown, the batter needs to hit the ball and run all through the bases and come back without giving out to score a run. 7. The opposite team can prevent the batsman by using different strategies. 8. The batting team can bat till three of them are put out by the fielding team. 9. The visiting team bats first and the home team fields. Then after completion of half innings, the players change their position. Softball game may be fast Fast-pitch and Slow-pitch. The Fast pitch softball consist 9 players with one extra and the slow pitch softball consist 10 players with one extra or optional player. Batters: the softball game is started with the batter after hitting the ball with his bat. The batter then runs without the bat towards the first base. Pitcher: the pitcher’s duty is to throw or pitch the ball from his position known as pitcher’s mound. Catcher: catcher’s position is behind the home plate. The catcher catches the balls and throws. First baseman: his position is in the right side of the pitcher in the first base. Second baseman: he is placed in the second base just opposite to the home base. Shortstop: he is placed in between the second and the third base. Outfielders: outfielders are divided into three categories, known as Right Fielder, Center fielder and Left fielder. So these are the names as well as the positions of the players of softball. 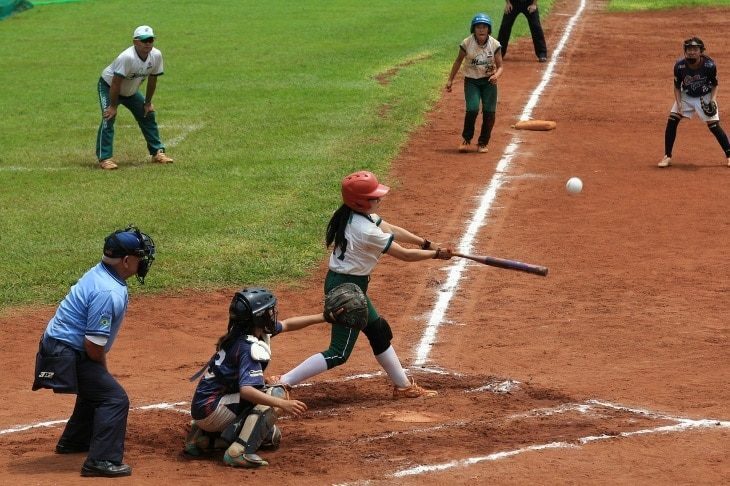 ​There is no such logic why softball is thought as girls’ game. Many people think that softball is derived from the Baseball but it’s not true. Both the games are different from each other in many extents. They say that softball is the women version of baseball. 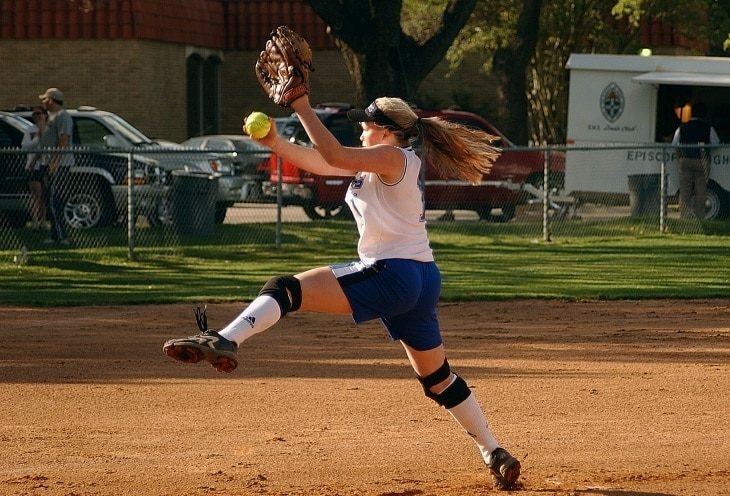 It is assumed that Softball is more safe, modest and easy kind of game that suits girls more. But the fact is that softball is a game which was invented by men and played by man too. So, there is no such logic regarding the assumption that ‘softball is for girls’. Yet many people assume that men play baseball while women play fast pitch softball. There are many similarities between softball and baseball and many differences are there too. One of the main differences between softball and baseball is the size of the ball. The ball of the Softball is bigger than the ball of the Baseball. Since the ball is bigger so the gloves size is bigger than the gloves used in baseball. 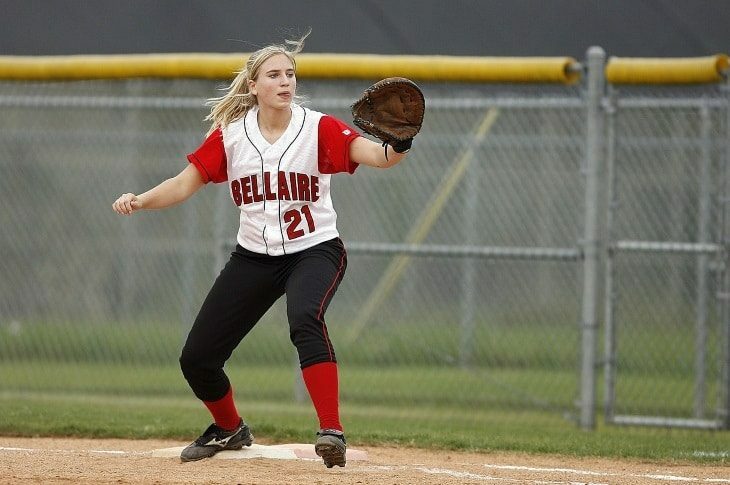 In baseball, the pitcher throws the ball upper hand while the pitcher in softball throws the ball under hand. Moreover, the sizes of the fields are also different from each other. The size of the baseball field is 90 feet while the size of the baseball is of 60 feet only. Regarding the rules also both the game differs from each other. However basic rules are same. A baseball game consists of 9 innings but a softball game consists of 7 innings only. So to conclude, it can be said that softball is not for girls. Men invented the game and played by men too. It is not derived from baseball and it has different rules. It is a unique game with its own set of rules and both men and women play the sport.